The Boost Pump Module can be mounted many ways. The only limitation is that the fuel pressure regulator and fuel pump must remain oriented horizontally. 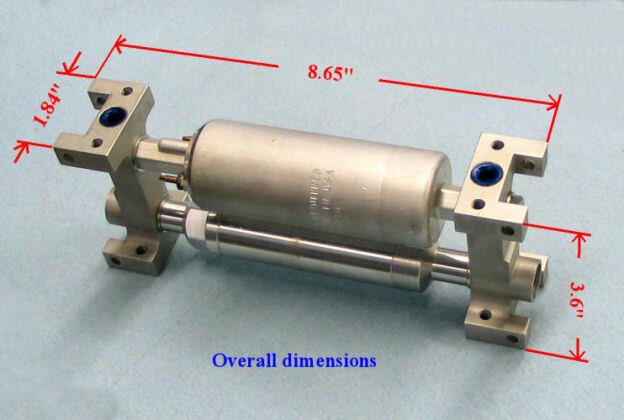 The unit can be mounted in a standing up fashion with the fuel pump above the regulator which is common for installations in tandem aircraft such as the RV-8(A). The unit can also be mounted in a flat manner with the fuel pump beside the fuel pressure regulator. This would be a typical mounting method in a side by side aircraft configuration. Visit our customer installation photos page for examples of different mounting methods. 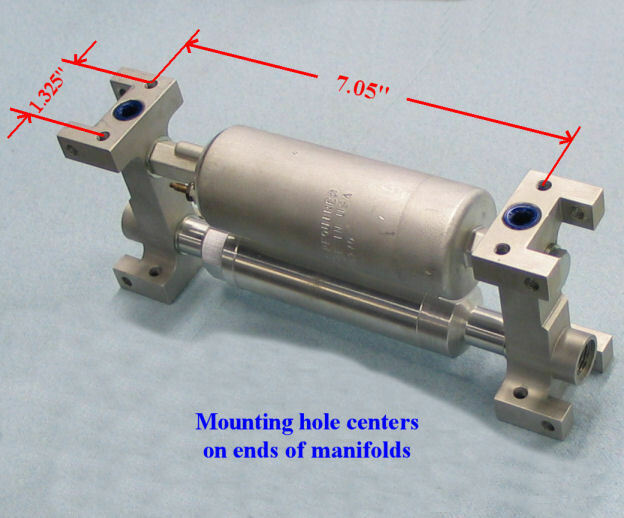 The Boost Pump Module has integral -4 threaded mounting holes oriented for both stand up and lay down mounting. Some people have chosen to use -3 mounting hardware into nut plates to ease future maintenance of the unit. This can easily be accomplished by using 10-32 x 3/4" socket head cap screws to mount the unit to a floor area plate. You can see in the picture how this hardware fits into the Boost Pump Module. In the photo, the washer on the right has been trimmed a bit on one side to provide clearance with the manifold portion of the Boost Pump. The washer on the left side does not require the trim do to the shape of the manifold. 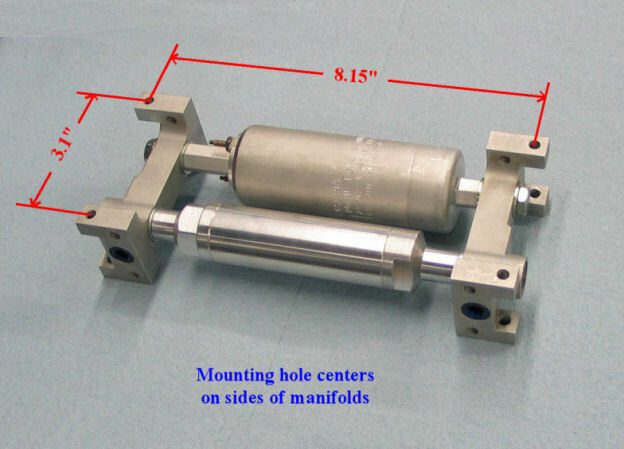 In the first photo, the pre filter is joined with the Boost Pump with a female coupler. This yields an overall length of 17 1/8". In some cases it is desireable to have a shorter installed length of the components. This can easily be accomplished by mounting the fuel filter directly onto the Boost Pump, thereby saving the length of two fittings. In order to accomplish this, you must remove the o-ring which resides on the original AN-6 fitting that is on the inlet of the Boost Pump and install the o-ring onto the shoulder on the -6 fitting outlet of the fuel filter. You can then connect the fuel filter directly to the inlet on the Boost Pump. Make sure that the fuel filter mounting is such that undue side loads are not introduced to the fittings when the parts are secured. 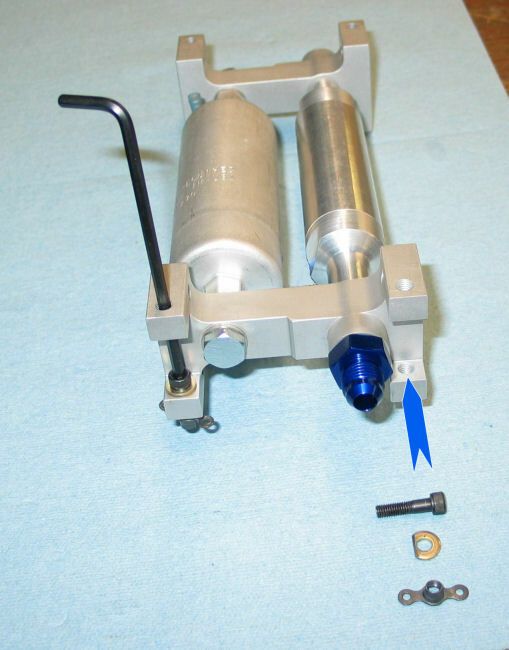 The end result is a Boost Pump and filter combo that has an overall length of 15".